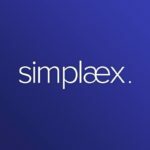 Simplaex is the company behind the world’s most advanced Artificial Intelligence-powered user classification technology. We believe data is a company’s most valuable asset, and we exist to help that asset grow. Across our suite of platforms and services, we combine human creativity with artificial intelligence to build smarter tools for the programmatic advertising ecosystem. The Junior Marketing Manager role at Simplaex isn’t a job. It’s an experience. We are looking for an individual whose personal interest has given her or him a keen understanding of programmatic advertising. Being part of the Marketing team means you are always on the lookout for opportunities to promote the Simplaex brand and its products. The role involves creative thinking, identifying trends, and building digital presence across all relevant media and social channels. You should have a strong grasp of current marketing tools and be able to execute engaging marketing campaigns. Nurture and co-develop the company’s marketing & communication strategy. Build and maintain Simplaex’s online and offline media presence. Manage social media channels (LinkedIn, Facebook, Twitter, Instagram). Design and update sales and marketing collaterals (e.g. brochures, infographics, case studies, press kits). Assist in the general distribution of email campaigns and press releases. Update corporate website via WordPress. Identify trends and insights, and optimize actions based on the insights. Brainstorm new and creative communication strategies. University degree in marketing or closely related field. At least one year experience in digital marketing. Demonstrable experience managing CRM, email and social media campaigns. Advanced Excel, PowerPoint and WordPress skills (Photoshop is a plus).